Industry shifts product mix to reflect changing consumer demand. 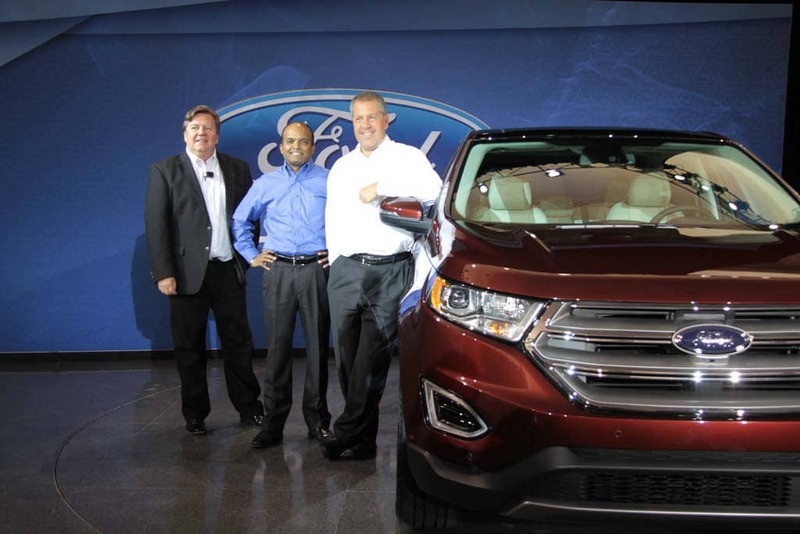 Ford President Hinrichs, in white shirt, at the launch of the 2015 Edge utility-vehicle. Light trucks sales surged to record numbers last year, and the shift from passenger cars to pickups, vans, and utility vehicles is far from over, or so Ford Motor Co. is betting as it realigns its future product plans. The Detroit automaker is now planning to add at least four new SUVs over the next “few years,” a senior executive said this week, though President of the Americas Joe Hinrichs wouldn’t provide specific details on their roll-out. But the move is an inevitable reflection of industry trends, Hinrichs told TheDetroitBureau.com. “We see a lot of growth. SUVs were 30% of the industry last year but could go to 40%” before the end of the decade. Ford’s move is no surprise. Key competitors, from General Motors to Volkswagen and Kia, are getting ready to expand their own SUV and CUV lines to meet market expectations. They’re encouraged to bring on more SUV models not only by strong sales in the U.S., but by growing sales in overseas markets, including both Europe and China. “With fuel prices as they are, consumers are voting for SUVs,” Hinrichs said during an interview at the North American International Auto Show. A sudden surge back to the record or near-record pricing seen two years ago could short-circuit SUV sales, Hinrichs said, but that seems unlikely to happen anytime soon. And most industry analysts are betting that demand would remain strong even if gas prices go back up to the $2.50 or $3.00 a gallon range. The biggest concern would be a very sudden and severe price hike that would hurt the overall economy. 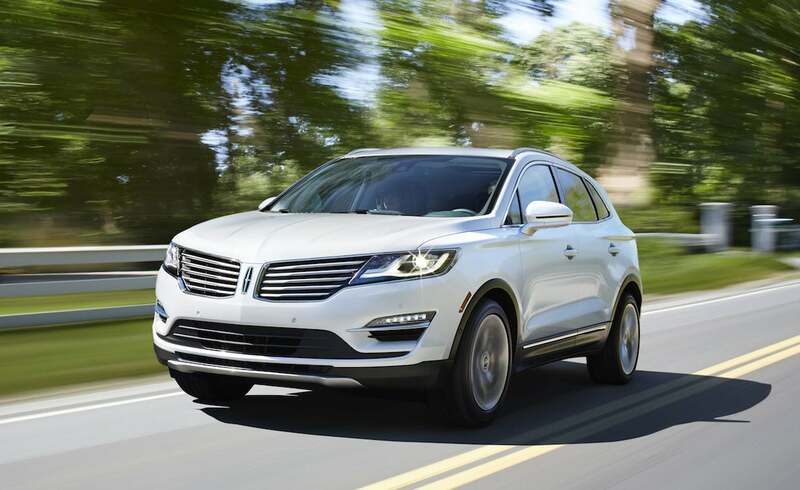 The Lincoln MKC has tapped into the fast-growing market for compact luxury SUVs. Like its competitors, Ford planners are pleased with the burst in demand for utility vehicles. On average, utes command a higher price – and deliver strong margins — than the more traditional passenger car models motorists might otherwise choose. Ford has one of the industry’s stronger SUV line-ups already, with models like the Expedition, Explorer, Edge and Escape, but company insiders recognize they have some yawning gaps in the line-up, especially at the low end. Compact crossovers are now one of the world’s fastest-growing market segments. The second-largest of the Detroit makers sold 65,675 utility vehicles last month, a 13% increase, and that for the Ford brand alone. The Lincoln brand has had some mixed results. The MKT and MKX saw demand dip, but the luxury marque is hoping a redesigned model will rebuild sales. Meanwhile, the compact Lincoln MKC posted a spectacular 88% jump. Though Ford won’t discuss specific plans, one possible addition to its line-up could be an American version of the EcoSport it currently markets in Europe and several other parts of the world. Ford is by no means the only automaker looking to capitalize on the shifting market. General Motors has a wide assortment of new sport-utility vehicles and crossover-utility vehicles under development. At least one will drop into the Chevrolet line-up as the current Equinox model is redesigned and moved slightly lower in the line-up. Cadillac, which only months ago planned to add two new utes now is going to bring in three. And Buick is sourcing a new entry model, the Envision, from a plant in China. 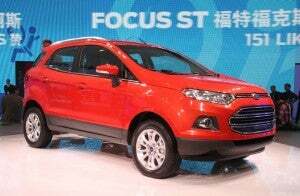 Some observers believe Ford will wind up bringing the European EcoSport to the US. Fiat Chrysler’s Jeep brand has been expanding its line-up with products like the Renegade at the low-end, and a new full-size model to come. The expansion – and Jeep’s move into new markets like China – has fueled a rapid growth for the brand. It just finished its second year at over 1 million sales and is targeting 1.9 million by decade’s end. Scion is working up its first utility vehicle, according to industry insiders. And other foreign-owned manufacturers, from Volkswagen to Hyundai and Kia, are also looking to expand their ute lines. The surge in SUV sales isn’t entirely a positive development for the industry. It does raise challenges for an industry struggling to adapt to tougher emissions and fuel economy regulations. That could force makers to either hold down sales artificially or adopt more expensive powertrain technologies, such as plug-in hybrid and pure battery-electric systems, insiders warn. One of the risks is that these technologies won’t deliver the sort of driving dynamics and features buyers expect in a utility vehicle. Meanwhile, the higher costs of those technologies could turn off potential customers, dragging down sales. This entry was posted on Thursday, January 14th, 2016 at and is filed under Automobiles. You can follow any responses to this entry through the RSS 2.0 feed. Both comments and pings are currently closed.